Once upon a time, there was an enchanted forest inhabited by all the classic fairy-tale characters we have grown to know and love since the early days of our childhood. Reigned by Snow White and her family, eternal peace prevailed in the kingdom, and all were destined to live happily ever after. Wouldn’t it be wonderful if our fictional characters could indeed live in perpetual happiness? Yet, it wasn’t long before the harmony of this fantastical land was disturbed and evil took its reign, enacting a curse that trapped each character into a small little town called Storybrooke, Maine. In this hit television series, Once Upon A Time, ABC network and production writers, Edward Kitsis and Adam Horowitz, enchant all their binge-watching, Netflix-obsessed, fictional-fantasizing viewers into a mystical realm previously unknown to the mortal world. The story begins with protagonist Emma Swan, who is loosely based on Princess Odette from Swan Lake, and the title character from the celebrated childhood fable, “The Ugly Duckling.” Emma is analogous to both Princess Odette and the Ugly Duckling, as not only is she misplaced in the world, but she has also lived on her own since birth. 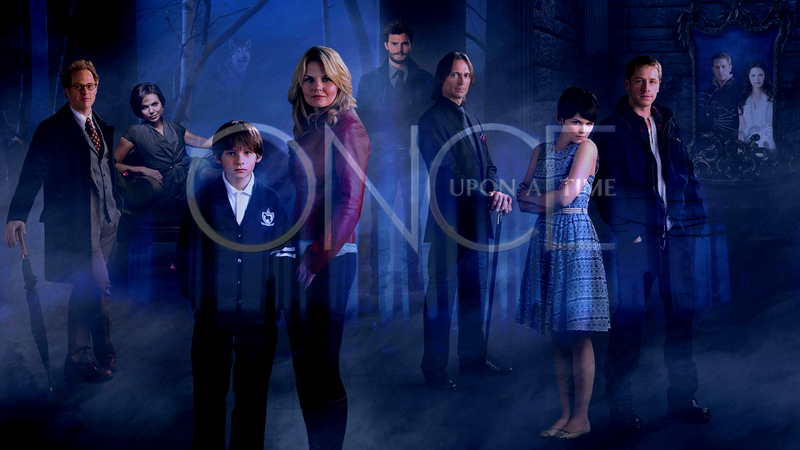 In a twist of fate, Emma’s ten-year-old son, who she gave up for adoption, finds Emma in the hopes of persuading her to save the civilians of Storybrooke from an evil curse, which caused every fairy-tale character to forget their previous identity. Each character takes on a “real-world” name and role, and is stuck in this mundane world we call Earth. The curse is cast by none other than the notorious Evil Queen in vengeance for the perceived wrongdoings of her stepdaughter, Snow White. As the series continue, Emma assumes the role of the “savior,” as it now her task to save Storybrooke by returning each character to their original identity and to their respective home in the enchanted forest. Once Upon A Time features an assortment of characters from our all-time favorite bedtime fables, and spans across different magical worlds, including Oz, Neverland, and even Arendelle from Frozen, the newest addition to the television series. Characters such as Elsa, Peter Pan, and Prince Charming do so much more than simply entertain our internal five year-old persona; these characters come back to life on our television screen to teach us one thing our non-fictional, ordinary world often forgets about, and that is hope. During the craze of college midterms and filling out job and graduate school applications, we forget about the simple treasures that gave us an immense amount of pleasure during our childhood days. In this environment, it is easy to fall under the traps of pessimism and self-doubt. Yes, it is realistic to state how fairy-tales gave our five-year-old selves a false sense of what the “real world” would actually be like. Nevertheless, it doesn’t hurt to still wish for our own happily ever-afters. I know I still wish for mine.